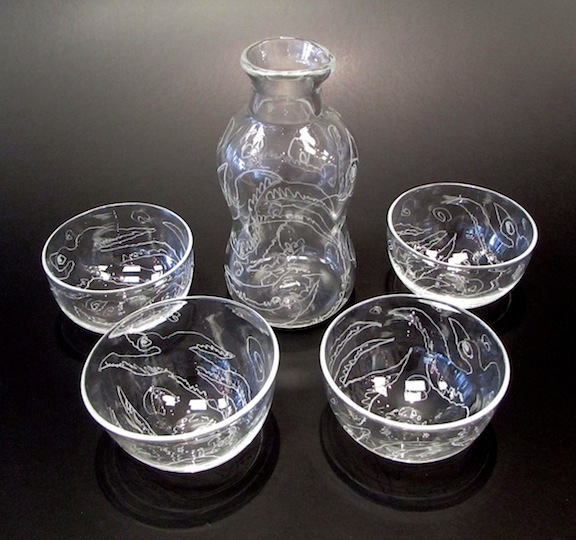 Saki Set [Saki Set by Tadashi] : FlameTree Glass, Inc.
Hand blown glass saki set. This uniques set feature 4 saki cups as well as a tall flask. Decorated with an etched swirl pattern of birds, this set makes the perfect conversation piece. Flask measure approximately 6" tall. Cups measure 2" tall by 3" wide.